At Zinnovate we are helping to transform systems, processes and organisations for global optimisation, and there is always the man/machine quandary CEO Insight catches up with Håkan Nilsson, the CEO of Zinnovate, an IT and management consultancy, to talk technologies, partners and the future of the traditionally conservative freight industry. 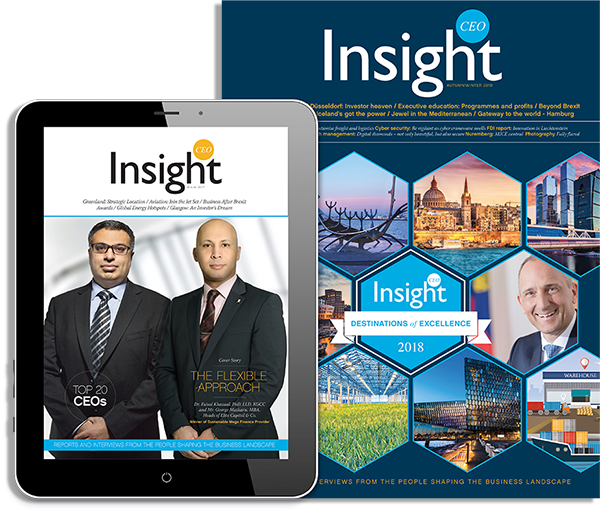 CEO Insight : What brings you to London and have you cemented any new partnerships in your time here? What can you say about Zinnovate’s current ground-breaking partnerships with Enigio, Shipchain and Xware? 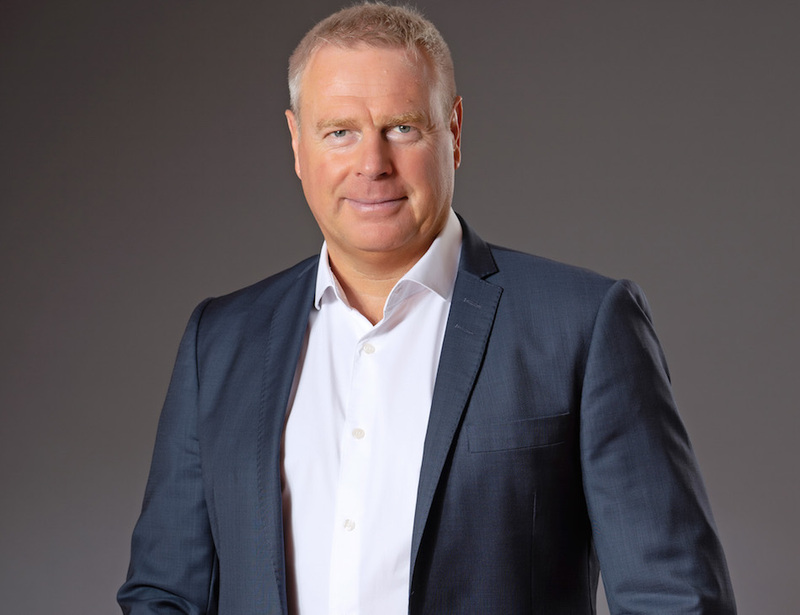 Håkan Nilsson: We have had a series of meetings in London to prepare for some reports and a major project we are working on, and it was beneficial to be here for some face to face talks with people who rarely meet. Zinnovate builds impressive delivery capabilities from close partnerships and we had interesting talks about a new partnership with a company who specialise in warehouse systems called Microlistics. They have just been acquired by WiseTech Global, the number one software provider for the freight industry, who are current partners of ours. WiseTech Global are very focused on product development and they are generating a lot of opportunities. Another partner XWare develop and market high- tech software for secure and advanced information collaboration so through this partnership Zinnovate has the best possible integration product to add to our EDI and consultancy services. Swedish company, Enigio, is an important partner who offers innovative solutions to ensure consistency, integrity and traceability of digital information. We also have a partnership with a neuroscientist firm in Sweden called Game Intelligence which has witnessed enormous development in brain science in the last few years that can be used to aid recruitment. Zinnovate is very excited about its recent partnership with ShipChain, a US based blockchain initiative, another very important and promising partnership. A better future for the logistics industry is in the making. 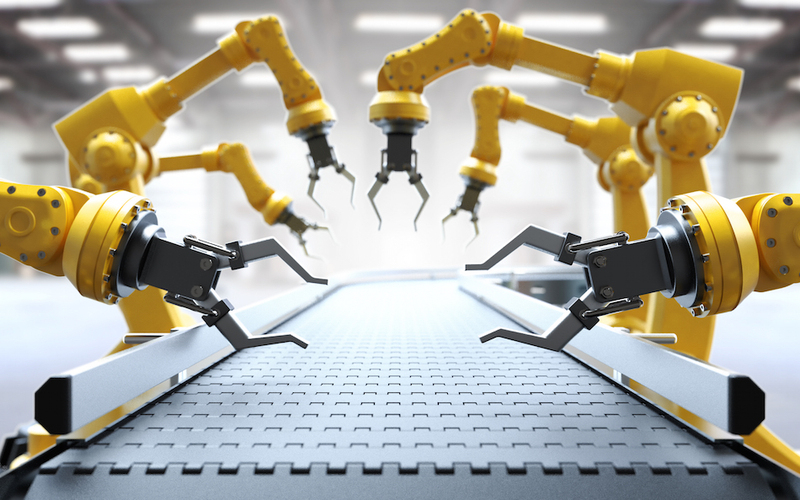 CEO Insight has identified blockchain, AI and robotic process automation as three areas set to really make their mark in 2019. How important are they to Zinnovate’s work and how are they set to revolutionise freight and logistics? HN: They are very important. At Zinnovate we are helping to transform systems, processes and organisations for global optimisation, and there is always the man/machine quandary. Zinnovate is trying to focus on both those areas and we have partnerships in both.The technology element – blockchain, AI and robotic process automation is exponentially driving development in the machine area, and it has major productivity, quality and financial value. The power of blockchain is that it provides a mechanism to transfer value of any kind over the internet. There are real life value initiatives but there is also a lot of hype, not providing much value except market value. The first internet revolution was really about accessing and transferring information, but not really value. Blockchain allows us to speed up the processes and value is transferred in a secure way. In this space Zinnovate has made a few important partnerships. With the finance industry getting increasingly disrupted, Enigio can help us help freight forwarders be leaders in blockchain. While all the above areas are very important, at Zinnovate we also focus on the softer element of human behaviours, as it is often the softer side of change management that can make or break a project. CEO: What do you consider to be Zinnovate’s core credentials? HN: We are more narrowly focused than our consultancy competitors as we don’t slice ourselves thinly across different industries. We focus solely on the logistics sector. Within that we have a unique and deep industry expertise. We successfully help our customers run transformative programmes, running across systems, processes and organisations. When helping customers we can combine deep industry knowledge with cutting edge IT. We help our customers not only to implement the best system, but also to achieve the best usage of that system, as this is what often differentiates businesses. WiseTech Global can provide the best system for example, and we will provide the best usage of that system. We help our customer make the whole, as opposed to the sum of the parts, in both their internal and external landscapes. The system by WiseTech Global is Cargo Wise and we have application and process experts across the globe that can help optimise and fine tune the cargo system. We simplify things by helping customers make the right choices, resulting in the best usages of the processes and people. We also have access to the NICE network (Network of Independent Cargo Experts), which is a network of IT consultants focused on the freight industry. CEO: What is the most important business lesson you have learned along the way? HN: The most important thing I have learnt stems from the 80/20 rule. Also known as the Pareto Principle, this rule suggests that 20% of your activities will account for 80% of your results. You need to focus on the most important things and if you stretch yourself there is a big risk that you are missing out on the key items. You don’t need to tick off a hundred task items out of a hundred to make a project a success but if you don’t tick off the most important then you are bound to fail. These failings are not related to technology or process, but to human nature. Many big corporations heavily invest in the technology and may forget to focus on the human element and how we interact. To survive, you need to future proof your organisation and focus on both. CEO: How has Zinnovate changed since you founded it? HN: We have stayed with the same focus and we continue to be a guiding light. When I founded Zinnovate I did so with 23 years’ experience and as global CEO, there was already a high level of trust. I spent quite some time designing it before the get-go, understanding and learning from successes and failures. You can team up with small companies and they will have the time to focus on you but may have difficulty scaling up. Or you can team up with the bigger ones, and they will have all the strength but they aren’t as flexible. Zinnovate was built to be scalable through partnerships, and the foundation of the partnership is a value synergy for the customer, not a profit synergy for the partners. The strategy, the mission and the vision of Zinnovate has remained congruent. We have accelerated the number of partnerships so our value reach is bigger, our global reach is bigger, but our strategic direction is very much the same. We don’t have any financially related KPIs, and instead of return on investment, I have a return on competence. The major reward is the inner satisfaction that you are making a difference and adding value for your customers. We remain very keen to make our partners successful, our customers successful and our team successful. CEO: Do you ever feel pressure to keep being innovative, breakthrough and disruptive or is it implicit in the nature of the work you are involved in when set against the inherent conservatism of the freight and logistics sector. HN: It is a conservative sector but the potential for improvement spells out for huge opportunity, and there is ample chance for disruption going forward. The real challenge for many companies is the huge amount of new information on drones, 3D printing etc., so rather than getting educated, they are getting confused. However, those that are capable of embracing the new technologies both on the man and machine side can win, and win big. It is once again the man/machine combination. I have benefited hugely from being part of a global community called Abundance 360, which allows me to tap into the industry bests and leading products, while avoiding drowning in information that may not be relevant. Companies that don’t allow themselves get swamped by the hype of new expertise will successfully navigate this pressure and Zinnovate can help the industry get real value out of new technologies.